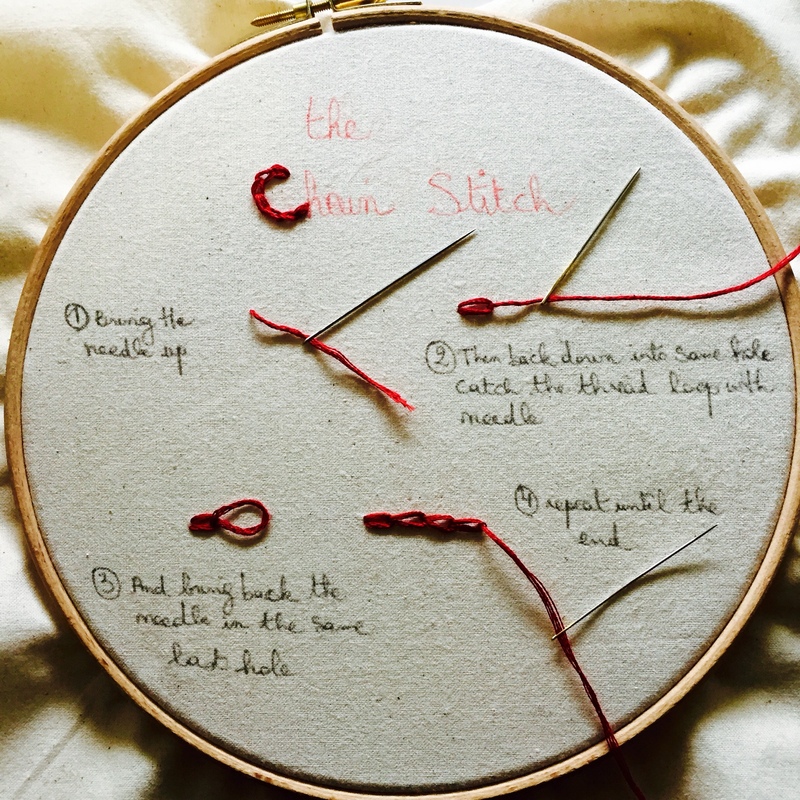 Here is a non exhaustive guide of my favorite and mostly used embroidery stitches. You can also find amazing videos all over the net, because sometimes seing it taking life can help more to understand the process….. It is used to create a neat outline. 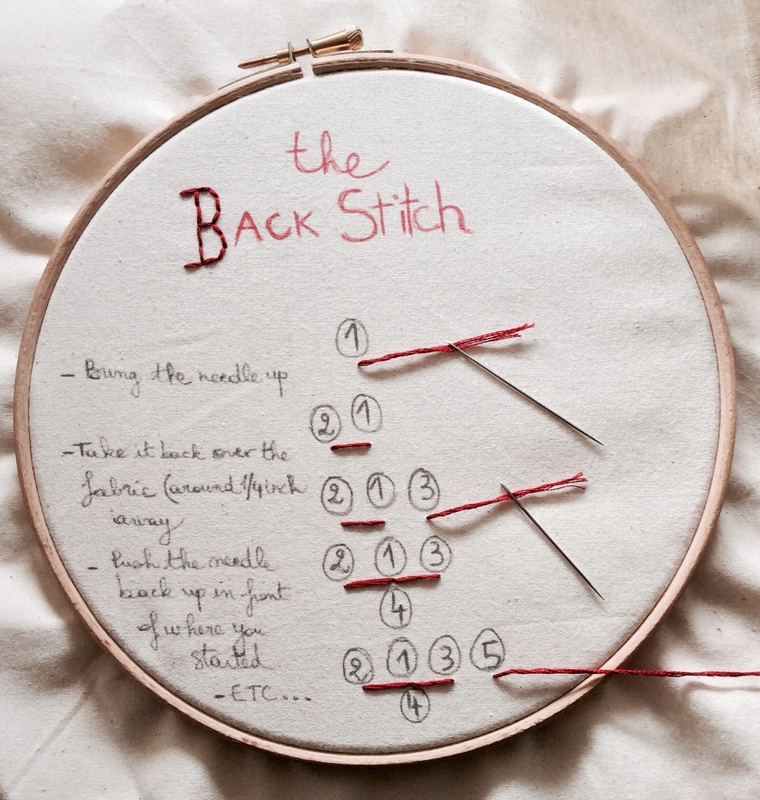 The lenght of the stitches is usually around 1/4 inch ( 6 mm) but may vary depending of the shape to follow. For deep curves it is better to shorten the stitches to keep the best accuracy possible. Push the needle back up in front of where you started, trying to keep the stitches even in lenght. Bring the needle up and then back down into the same hole. Before pulling the thread through, catch it at the top of the loop with your needle poking up from the back around 1/4 inch away, and pull gently. You just formed a chain. To stop the chain bring the needle down just outside of the last loop.